Tribal peoples believe that the shaman experiences, absorbs, and communicates a special mode of power, sustaining and healing. This book discusses American Indian shamanic traditions, particularly those of the Woodland Ojibway, in terms drawn from the classical shamanism of Siberian peoples. Using a cultural-historical method, John A. Grim describes the spiritual formation of shamans, male and female, and elucidates the special religious experience that they transmit to their tribes. Writing as a historian of religion well acquainted with ethnological materials, Grim identifies four patterns in the shamanic experience: cosmology, tribal sanction, ritual reenactment, and trance experience. Relating those concepts to the Siberian and Ojibway experiences, he draws on mythology, sociology, anthropology, and psychology to paint a picture of shamanism that is both particularized and interpretative. As religious personalities, shamans are important today because of their singular ability to express symbolically the forces that animate the tribal cosmology. Often identifying themselves with primordial earth processes, shamans develop symbol systems drawn from the archetypal earth images that are vital to their psychic healing technique. This particular ability to resonate with the natural world is felt as an important need in our time. 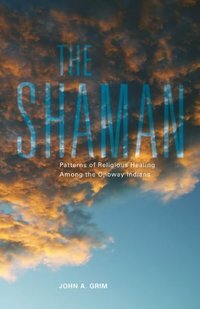 Those readers who identify with American Indians as they confront modern technological society will value this introduction to our native shamanic traditions and to the religious experience itself. The author's discussion of Ojibway practices is the most comprehensive short treatment available, written with a fine poetic feeling that reflects the literary expressiveness inherent in American Indian religion and thought.